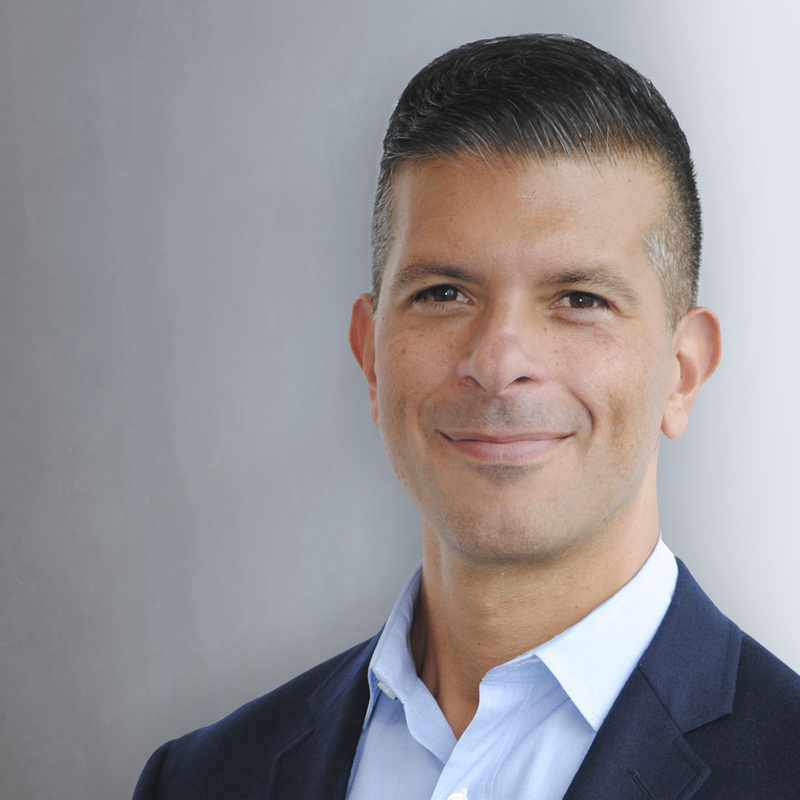 Eric Franchi may be the best-developed investor in ad tech – and not just because he’s mastered the intricacies of competitive weight lifting. Co-founder and ex-domo of the ad network-turned-creative platform Undertone, sold in 2015 for $180 million, Franchi is among a slim cadre of high-profile NYC-based angels and advisors. Native of Staten Island, son of public school teachers, Franchi recalls a milieu of cops and firefighters; so he did not grow up reading David Ogilvy, romancing the Madison Avenue shops. In the mid-90’s, however, he discovered the promise of high-speed internet connectivity via Penn State’s computer lab, and his goals adapted. WHAT WAS YOUR FIRST JOB IN ADVERTISING? I was moved into a group with the #1 sales person, a guy named Michael Cassidy. We became friends right away and were talking about starting our own media buying agency. Mike left first and I joined him. The bottom started falling out of the business. It was obvious that we needed to do something to help [advertisers] buy more effectively. There was a lot of supply. We thought there was an opportunity to take advantage of all this supply in the market and create what became the [Undertone] ad network. HOW DID YOU RAISE YOUR INITIAL SEED FUNDING? We didn’t. We didn’t raise any money at all for the first seven years, until 2008 when we took some private equity. But basically, we had a profitable business and grew to about 50 people in Manhattan without any outside investment. In the beginning [in 2001-02], all we had was our digital expertise. There was not a lot of overhead. We were operating an agency model, from an economic standpoint. We had a good stable of clients — like Classmates, Match and Orbitz. To give you an idea, we were buying display on a CPC basis. The market was so depressed. There was so much supply that publishers and [ad] networks were happy to take on CPC [pricing]. The founders changed the company’s name from Intercept Interactive to Undertone, and they adjusted its pitch. Approaching the mid-’00s, there was a frothing of ad networks, which are middle-people who package ad inventory from many different publishers, often with little (or no) transparency other than the final bill. It was hard to look different. WHAT WAS IT LIKE HAVING AN AD NETWORK AT THAT TIME? Advertisers were starting to spend more with them. Some of the networks had tech, some of them didn’t. Most of them weren’t really doing things that much differently than we were. There was just a handful of [ad] networks that were packaging media more effectively and had an opportunity to scale. A lot of the networks were going after aggregate reach – just a ton of scale – but not necessarily quality. There wasn’t really any barrier to entry. We saw a chance to go after name brand publications, well-known names, and create a kind of curated marketplace. That could [even] be attractive to brands who did not normally work with the networks. That was our pitch to advertisers and agencies: quality. Brand safety wasn’t really a big thing yet, until blogs and UGC got bigger. But we had a good story around advertising with quality publishers like Sports Illustrated, news properties like MarketWatch. They weren’t alone, as so-called “premium” ad networks appeared from Specific Media (later Viant), Advertising.com, InterClick (founded by Michael Katz, now of Franchi investee mParticle), and DoubleClick’s Sonar division, home to a team that would later co-found Right Media, a name well-known to students of this humble history. UNDERTONE BECAME KNOWN FOR HIGH-IMPACT RICH MEDIA AD UNITS. HOW DID THAT HAPPEN? By this point, it is 2011-12. We have a $100 million business, and we had built [some] tech. This was the time all the DSPs and SSPs were being born. The writing was on the wall that the direction the business was going was programmatic. But we didn’t see a lot of impact because we were focusing on the upper end. Other networks that were selling performance and cost were seeing more impact. So we felt there was a logical opportunity in the marketplace to build on the idea of premium inventory for brands, and create a similar business model with new ad formats. There wasn’t a lot of emphasis on IAB ‘Rising Stars’ and takeovers at the time. There wasn’t a lot of competition in these newer formats. ‘Rising Stars’ were interactive ad units that did colorful things like expanding when moused-over and superimposing over content. (They were phased out last year.) For a time, they were the LOLcats’ pajamas of digital advertising, but Franchi realized clients were going to need more help than usual making them meow. [Some] clients really loved these ad formats [he says], but they didn’t have the resources to create them in-house. So we started a creative division, like the ad tech version of the design studios that were appearing. It was super cool – we went from [staffing] sales to creatives, adding a different skillset. We had dozens of campaigns from all different kinds of advertisers every month. It just got to be such an interesting business. Fourteen years after plugging in its first fax machine, Undertone sold to Israeli tech firm Perion in late 2015. Franchi left last year to pursue his startup advisory second act. AD TECH INVESTMENT IS DOWN. WHY ARE YOU STILL BULLISH ON THE BUSINESS? How could I not be bullish? It’s growing 15% a year. There are more waves of interactivity coming – voice, AR, VR, connected TV. Then there’s the implications of A.I. There are so many things yet to be done. I don’t even know what “ad tech” is anymore. Is it the companies that power programmatic display, or the companies that power all of marketing? I think the pipes are already laid from an ad tech perspective. We are looking at what can be built on top of them [for digital marketing]. At what fits within the broader umbrella – all things related to media, marketing and measurement. On the side, Franchi has appeared on Bravo TV and publishes his own underground newsletter, “The IO,” a word-of-mouth franchise that he sends out weekly to a community of journalists and seekers. It’s a free curated weekly industry highlight reel from an informed insider and well worth enjoying here. WHY DID YOU START THE NEWSLETTER? I started ‘The IO’ because of Farhad Manjoo at the New York Times. When Verizon bought AOL, literally every tech reporter realized that ad tech was now on their beat. And I was chatting with Farhad, and he said they were all going to need to scramble to figure it out. So I started a newsletter with TinyLetter, just sending out some stuff to some journalists who signed up. All of a sudden, there’s word of mouth. People in the industry are reading it. It feels like a community. My whole career, I’ve been a bit of an outsider. I’ve worked in the industry longer than almost anybody. People come to me with questions about things, and I have my views. So I’ve played the role of an educator, maybe because my parents were teachers. Franchi’s startup investing and advising efforts now are aligned to MathCapital. If you’ve got an idea, try the team here.